With the onset of Social Media and the ease of creating your own blog, there has been a tremendous surge in blogging activities throughout the world. Travel blogging has been a significant part of this surge. Now, people don’t just travel and take photographs to make memories, they travel and take photographs and tell the world about their experiences, making memories along the way. Travel blogging has been an excellent medium for those who want to share their stories of traveling around the world, making people see the world through their eyes. Who was the world’s first travel blogger? Which was the first travel blog ever written? 6th January. Not many people find the date of any significance. It isn’t; not for most of the people. 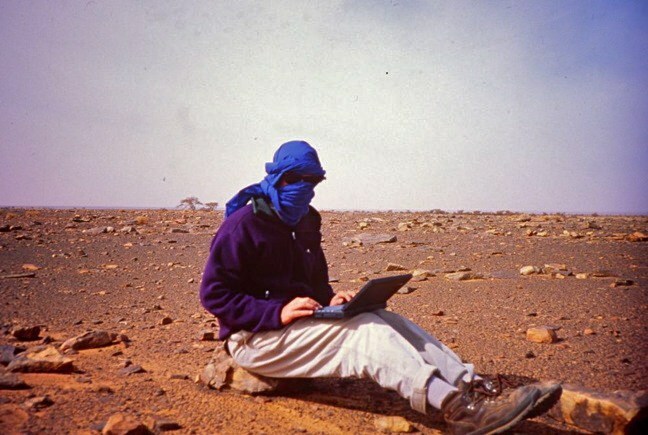 However, for the ones interested in traveling and maintaining an online journal for everyone to see, this date is when it all started; the date when Jeff Greenwald uploaded the first travel blog in 1994. Jeff Greenwald was a travel journalist living in Oakland for about 10 years before his first blog was published. His assignments had taken him across the globe but he knew something was missing. He didn’t feel like a real traveler. “Flying in and out of international airports was bland and effortless. I didn’t deserve to be in the places I was arriving. It felt like I was somehow cheating.” Jeff said. This is when he decided to become a backpacker. He decided to circle the globe by land and sea and vowed to never set foot on an airplane during his travels. He was able to sell this idea and signed a contract to write about this trip in a book to be called ‘Size of the World’. He was all set to embark on this transforming journey late December 1993. A few weeks before the start, he was approached by an editor of O’Reilly Media in California. The editor informed him about the website they had opened recently named Global Network Navigator (GNN). “What we hope you’ll do,” the editor said, “is write columns for us — from the road. We’ll publish them live, on the GNN, where people can read them as you travel.” He also explained Jeff about a map that would be displayed on their website with dots showing the locations that Jeff visited. People would simply click on the dots and read Jeff’s story about the place. Jeff knew it would be a lot of work but he agreed to the idea. He found it exciting enough to go through with. The only problem remained was how he would do it. In those days, there was a dearth of ultra light devices to carry around. Jeff owes a lot to his Hewlett Packard OmniBook 300 which helped him go through with the idea of Big World, which is what he named this internet series. Little did he know a “column” of this sort would eventually be called a “blog”. During the next nine months, Jeff blogged his way through the world. He visited 27 countries during this journey, travelled 30,000 miles and wrote several blogs. Blogging was tough, he recalls, as sending dispatches was never easy. He often spent days trying to figure out how to upload files. However, the main problem was the transmission speed. In June 1994, he reached South Asia and with the help of Sanjib Bhandari, who was then known as Bill Gates of Nepal, he uploaded the first image ever sent by Internet from Kathmandu. It was a postcard of Ganesha, a Hindu God of good beginnings. Transmitting the picture took the technicians nearly 14 hours. 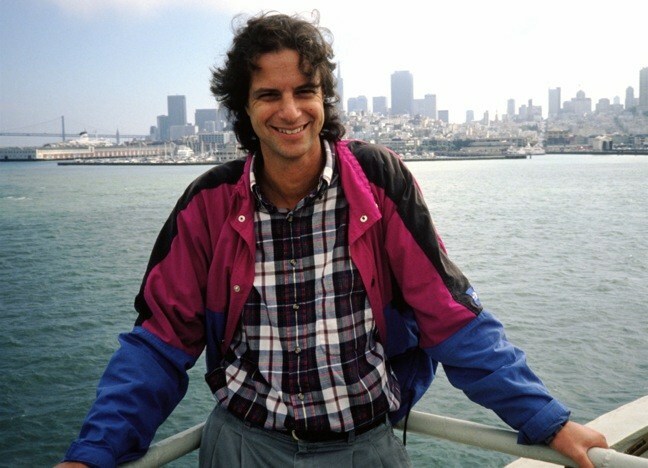 Jeff wrote 19 posts in all during his journey which were read by thousands of readers worldwide (this is a huge number considering it was 1994). Probably only a few people imagined Jeff’s travel diaries would become, a few years later, a global obsession. 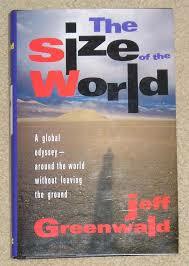 ‘The Size of the World’ was released in 1995 and was called “a travel book like no other”. Jeff feels that the process of his travel- traveling the world without boarding an airplane- overshadowed what was a much more significant achievement. “Someday, maybe, that first travel blog will get the celebration it deserves.”- Jeff Greenwald. 32 days, 12 cities, 11 Zostels and one epic journey.